The ‘Total Bellas’ star and the ‘Dancing with the Stars’ pro dancer make their romance official by sharing a kiss during a romantic lunch in L.A.
Nikki Bella has completely closed the door for a possible reconciliation with John Cena by dating Artem Chigvintsev and now she proved that her new relationship is more than a showmance. 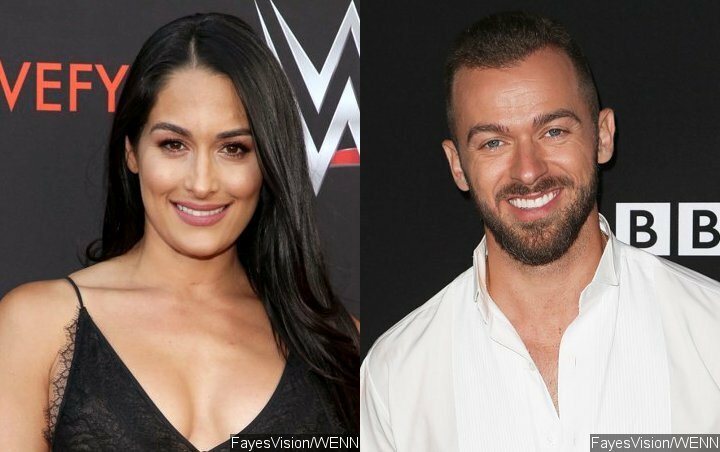 The former WWE Divas champ was spotted packing on the PDA during a romantic lunch with the professional dancer at Joan’s on Third in L.A. on Sunday, March 10. The new lovebirds were pictured locking lips during their lunch date. They looked loved up during the outing, holding hands and strolling arm-in-arm while leaving the restaurant together. At one point, Artem was seen putting his arm around Nikki’s shoulder. The pair were also seen on a flirty date at Wally’s in Beverly Hills earlier this month. According to eyewitness, they drank wine and shared a meat and cheese board while spending hours at the eatery. She didn’t waste time getting back on the dating scene, being filmed for “Total Bellas” as she went on a date with former “The Bachelorette” contestant Peter Kraus last year, but it apparently didn’t work out.